Welcome to the July edition of the PSASA newsletter. It is later this month as I spent the first half of July in the UK. They were experiencing exceptionally warm and dry weather, a situation which has continued since my return to South Africa. This week there is talk of people dying of heatstroke due to the temperatures which have reached the low 30s. Whilst the water situation is nowhere near as dire as in Cape Town, some areas haven’t had good rain for two or three months and hosepipe bans have been introduced in some parts of the country. They are saying it is on track to be the hottest year on record, another warning of the effects of global warming which is changing our planet. The two other big news issues whilst I was in the UK were, of course, the soccer World Cup and Brexit. I think there were mixed feelings about the achievements of the England football team in that they did much better in reaching the semi-final, than many people expected. At the same time there was disappointment that they didn’t go all the way and lift the trophy. In terms of Brexit, the UK government seems to be in complete disarray over the issue with the ruling Conservative party split over whether to try negotiate a good deal which would still leave the UK with some EU restrictions, at least for a few years, or to pursue a ‘hard’ Brexit. It will be interesting to see how the scenario plays out over the next nine months. I definitely suffered thermal shock on my arrival back in SA and was immediately thrown into PSASA action with the Johannesburg Chapter meeting on 12th July, ten hours after I arrived back in the country. Many thanks to those people who sent me content for the newsletter (Ross, Lois, Charlotte, Paul, Chris. Ken, Carl). However, it is not just Chapter Presidents and senior members of PSASA who can submit articles for the newsletter. You can submit information and articles via Chris chrisvem@gmail.com or directly to myself ianbratt@global.co.za All contributions welcome. Trust you are all well and enjoying the final spurts of winter. Since we last spoke I have visited our Durban, Pretoria and Johannesburg chapters. Thank you for your warm welcome and all the hard work. I will be making my way to Cape Town soon. 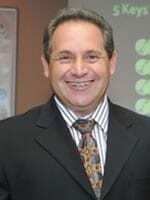 It gives me great pleasure to introduce our newly elected Durban chapter president Roger Knowles. Roger thank you for taking up the challenge and I look forward to working with you. A very Big Thank you to outgoing president Barbara Johnson for all your hard work and dedication. I would like to urge you to get involved with your local chapter and to attend the chapter meetings. Your chapter presidents and their teams work really hard in planning and organising monthly meetings. As an up-and-coming speaker there is no better place to learn and as a speaker who has already arrived there is no better place to give back than your next chapter meeting, so let’s support our chapter teams by getting involved, inviting someone along and attending the meetings. 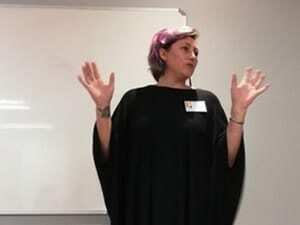 In June I asked Trudi Du Toit to share with our executive team (myself, our business administrator, chapter president’s and passed national president) some of her thoughts on succession planning. Thank you Trudy for a valuable session not only for us as PSASA leaders but also for myself as a businessman. A big part of being a successful leader is being able to raise up other leaders and that is what succession planning is all about. If you need some advice on succession planning please contact Trudi she is an expert. In July Dr Graeme Codrington spent some time with our executive team sharing some of his thoughts on the concept of mastermind groups. He spoke about the purpose of a mastermind group and shared with us ideas on the structure of a mastermind meeting. Thank you Graeme. There are a number of active mastermind groups within PSASA and would you believe even an online mastermind. If you are interested in getting involved with a mastermind group please speak to your chapter president. Well done to Taryn- Lee, Cobus and your team on your victory in conquering the highest mountain on the African continent Mount Kilimanjaro. I look forward to hearing all about your trip. As discussions in our country get heated around politics and politicians canvassing for votes, fuel prices increasing, crime and all the other stuff, I am really glad to be a part of the PSASA and an industry that can influence change for the better. Thank you, you guys inspire me. Let me leave you with a quote from one of the best movies I have seen in a long time. Fellow speakers go out there and make others happy. If you haven’t visited the PSASA website http://www.psasouthernafrica.co.za/ you are in for a surprise. The website has undergone a major revamp thanks to our Past President, Francois Muscat and his wife Marianna. The updated website has a great modern look to it. The content is much more accessible and it is easier to find exactly what you are looking for. However, like the newsletter, the site requires content to ensure that it provides the information which our members require. We had another fun and valuable event at the Cape Chapter on Monday, 9 July – a panel discussion by some experienced speakers who shared their knowledge on the topic of travelling as a speaker, trainer or coach. Our panel, which was ably facilitated by Francois Roux, consisted of Aletta Rochat, Lorne Sulcas and Raymond de Villiers. The topics covered helped us to get to the nuts and bolts of travel, touching on everything from speaking fees to food, the realities of using stories and humour in diverse cultures and nationalities, visas and passport challenges and how to overcome them, how to gain those all-important first international speaking opportunities and how to use overseas gigs to build your brand as a speaker. We also were privileged to welcome a visitor from PSA Australia, Karen Livey CSP, who is visiting Cape Town for the month of July. We hope to be able to arrange a coffee chat with her in the very near future so keep an eye open for details. 28 July – a sales workshop by Chris Adlam teaching us how to close more sales as speakers, trainers and coaches. Saturday, 28 July, 08:30 AM – 12:00 at the Venture WorkSpace, 11 Imam Haron Rd, Claremont – contact lois@loisstrachan.com for more details. 13 August –we’re excited to be hosting Rabison Shumba to show us the importance of building a sustainable speaking career with a presentation on “Success Beyond the Speech”. I look forward to seeing you all at these great events! Our June meeting saw the Pretoria chapter move into a different room in Woodhill, given the fact that there was a massive golf day and live performance outside our regular venue. The shindig was filled with numerous famous names, with one of our members being asked the clichéd “Do you know who I am?” line at the bar. We may not have been part of their (very rowdy) party, but we had a meeting that I would hazard held loads more value for attendees (no offence intended to any of said shindig attendees). We welcomed a bumper number of guests from the Joburg chapter, as well as folks outside of the PSASA membership collective. After our much-needed winter dinner of chicken pie, we welcomed our first speaker, Ian Hatton. Ian spoke on presenting virtually, which he fittingly did from Cape Town. Something I took from this, was that the benefits of speaking online are buried just below the surface of our own misgivings about the medium. The level of intimacy (the platonic kind), engagement, and subsequent comfort & involvement of introverts was astounding. Taking the time to learn the tools of the trade opens up a whole world of possibility! Following Ian, was our national president, Carl Schultz. Carl spoke on the business of speaking, having started numerous businesses himself. A truly mesmerizing talk, Carl oozes authenticity and calmness in getting his message across, helping, I believe, every member in the room to see what beliefs and practices may be holding them back. It’s all about being a machine! Carl’s four guiding principles were things we could all apply, and I know my thinking of my business model adjusted after the evening. With such value, and with the growth we are seeing, I look forward to every Pretoria Chapter meeting of the PSASA! Why not swing by and visit us sometime? We have a great menu – both for food and for fellowship. Please join us on Wednesday evening, 15 August, 18:15 for 18:30 when we will be joined by Jan Robberts and Arthie Moore as our speakers. Their topics will be on “5 Keys to Increasing Your Sales Influence” and “VAK – Learning Styles”, respectively. Kindly take note that the meeting will not take place at our regular venue but instead be taking place at Building 1, Oxford Office Park, 3 Bauhinia Street, Highveld Technopark, Centurion. RSVP by Monday, 13 August 2018 for venue setup and catering preparation. A finger supper will be served. It has been a busy two months for the Johannesburg Chapter. The chapter has seen insightful, inspirational and informative speakers grace its last three meetings. The June meeting saw no less than five speakers. 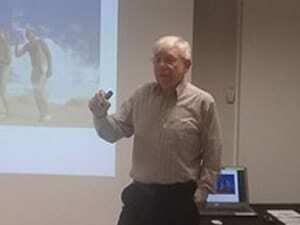 Three PSASA members were invited to make short presentations – Larry O’Sullivan, Michael Bratt and Trevor Ketler. We then heard from a remarkable young man, Ntando Makwela who is only 16 years old. At the age of 15, Ntando wrote his first book, “The Dynamic Kid – 9 Keys to Unlock Your Future”. He is now heading a team of twenty teenagers who are building a plane which he will fly from Cape Town to Cairo. The group will land in various countries throughout the continent where they will have public speaking sessions, sharing the stage with other leading young people to inspire, motivate and challenge young Africans from the South to the North of Africa. The final speaker for the meeting was out National President, Carl Schultz who spoke about “Building breakthrough: The business of Professional Speaking”. Carl’s presentation was essential listening for any speaker who is serious about growing their speaking business and Carl is an expert in this area having “been there, done that”. On 23 June, a special breakfast get together was held at Café Hemmingways in Kyalami, Midrand. An intimate, round-the-table discussion was held accompanied by great food. Attendees were treated to insights from three speakers; Craig Govender, official physiotherapist of the Proteas cricket team and director of the Wanderers Sports Medical Centre, dietician Craig Vardi, and psychiatrist Dr Danella Eliasov. Vardi and Eliasov work with Govender at the medical centre and both work with professional athletes across different disciplines, not just cricket. The physical and mental preparation and regimes of athletes was discussed and compared with that of professional speakers which, as it turns out, is not actually that different. 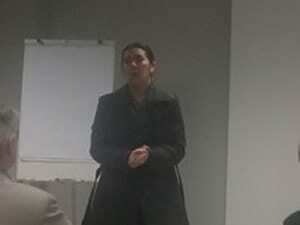 The chapter’s next meeting took place on 12th July, held at the usual HB Connect venue in Sandton. Two speakers, Dr Ken Resnick and Nikki Sing kept attendees entertained. Ken spoke about how to raise a child in this modern world, touching on his experience and knowledge as a child psychologist. He advises that clear rules and boundaries need to be set, but children need to be allowed to make their own choices and they must also be taught the consequences of them. Nikki explained how to bring authenticity back to coaching, speaking, facilitating and consulting, recommending that people stay true to their own personality, spirit and character, while at the same time knowing themselves and their values as well as the environment around them. Coaching individuals comes down to understanding where they currently are, where they came from and their current needs. The August meeting will be held on Thursday 16th August, since our usual second Thursday of the month (9th August) is a public holiday – Women’s Day. “Take your speaking career to the next level”. 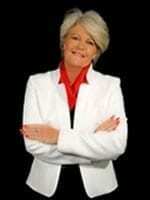 The Johannesburg Chapter President, Gavin Novis, will be interviewing Executive Speaking Coach and Chief Coach for Unique Speakers Bureau, Lynn Baker, to find out how speakers can take their presentations to the next level. Attendees will get the opportunity to ask Lynn their questions. This presentation was postponed from our June meeting. Cobus Visser has recently returned from climbing Mount Kilimanjaro. He has lived with haemophilia his whole life that made him go from wheelchair to walking again to climbing Kilimanjaro 9 – 20 July 2018. Join us online at a monthly meeting where we learn techniques to improve our speaking or our speaking business, and connect with speaking colleagues far and wide. We record most of our meetings and put them up on YouTube. Fast forward if you don’t want to listen to the introductions, but then you can learn about international speaking, book writing, podcasting, speaker contracts, media relations and more. It is our intention to develop this meeting into a place where people who cannot get to a physical chapter meeting easily, can connect and support each other, while learning great content. In recent times we have started to experiment with a co-host, so now I host with Ian Hatton, so that we can be sure to connect with everyone. We are also using more of the Zoom tools such as break out rooms and screen writing. What we need from you: Please join us to check out what we are up to and share. Make suggestions of topics or speakers that we should invite to present – name yourself if you have a speaking relevant topic! Invite speaker colleagues, trainers, coaches, fascinators, to join us on the meeting. You do not need to be a member to be part of this learning opportunity. In the meantime, check out the YouTube channel to learn from speakers such as Nikki Bush, Ian Hatton and Siphiwe Moyo. Our next meeting will be announced early in August 2018. There will be valuable opportunities for networking, learning and discussion to prepare yourself and your speaking business for success and relevance in the future. Are you Future Fit as a speaker? Join us at the PSASA Mid Term convention in Cape Town 19 – 20 October to get some Innovation Inspiration and to dig into the Future of the Speaking Industry. For any queries, suggestions, sponsorship ideas, please contact me. Want to Expand Your Influence in the Speaking and Training Business? Successful Speakers from all over the world will be attending the PSASA Convention from 12 to 14 April 2019 with the sole purpose of sharing their knowledge and experience with you. Sit side by side with multi-million-Rand speakers and find out how they have expanded their speaking business. Book your convention ticket here. 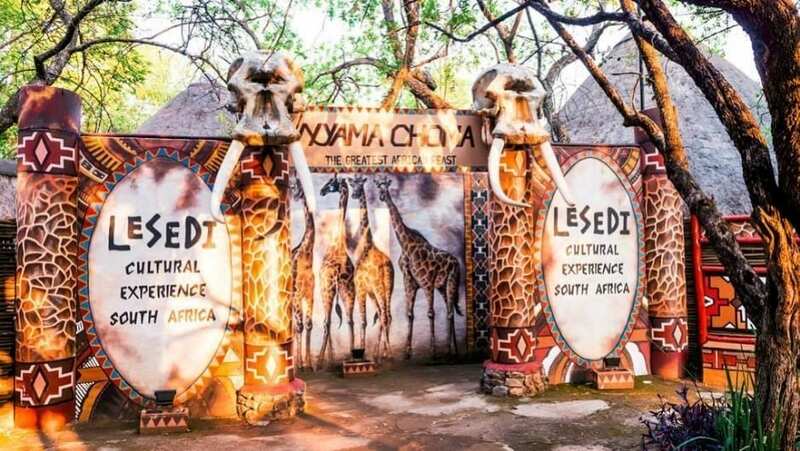 The 2019 convention will be held at the Lesedi African Lodge & Cultural Village. The venue is well known for its excellent food and atmosphere and accommodation. The venue is located on the R512 and is 14 km away from the Lanseria International Airport. The PSASA Gala Dinner and awards ceremony, is always the highlight of the convention. Tuxedos and traditional dress is encouraged but not obligatory. The Gala dinner is all part of the convention package. The PSASA Annual Convention 2019 will take place from 12 to 14 April at Lesedi African Lodge & Cultural Village, South Africa. Option 3 Nine payments of ZAR577.78, totalling ZAR 5,200. Ending end of March 2019. Starting latest in July 2018. In many families today, the children are the ones that seem to be in charge, and as with most things that need navigating in life, children do not have the skills or know how to navigate successfully. I liken parenting to pilots flying an aeroplane. They are in full control of their craft and at all times need to deal with any problems that may arise in a calm manner. Imagine a few passengers in a plane having an altercation and the pilot comes through shouting, screaming and generally losing it with the passengers involved in the altercation. I doubt if anyone on that plane is going to feel secure and safe, believing that the person controlling the plane has the skills to adequately fly. The Same scenario applies to parenting. The moment that you ‘lose it’ with your kids, you’re going down to their level with nobody in control of the situation. In many situations the children end up being in control, and as you know, no one would feel safe with a child at the controls of an aircraft. Parents who lose control create insecurity and mistrust in their child, where, instead of adapting their behaviour to what is acceptable, their behaviour often worsens with chaos being the consequence. Effective authority is vital as a requirement for parents. The problem arises when parents aren’t sure how to exercise this authority. The parent has to be the pilot flying the plane with their children being the passengers who need to feel safe and secure in the knowledge that their lives are in good hands. Parents need to understand that they are in fact teachers. The English word ‘educator’ tends to refer to teaching from an academic point of view. The Afrikaans word ‘opvoeder’ denotes an educator in terms of the full context of the child’s development, emotionally, physically and intellectually and it is in this sense that parents need to understand what their role is as ‘opvoeders’. Parents are the emotional teachers of children. Parents are the key in developing empathy (sensitivity to feelings – of one’s own and of other persons) and trust. This also applies with regard to mistrust and anger, insensitivity and not caring. Authoritative parents (as opposed to permissive parents or to authoritarian “Do as I say because I say so!” parents) are able to raise children who are easy to live with and feel good about themselves. Teachers of these children usually concur that these children are also a pleasure to teach. These parents take on their full responsibility as parents and show a genuine interest in their children. They provide firm, clear rules as well as the reasons for these rules. What we can glean from this is that every child needs a parent who believes that the opportunity for a child to develop to its full potential lies in their hands and when things do go wrong, they need to take a long hard look at the impact that their parenting has had in contributing to their child’s problem. Therefore, every child needs a caring parent who will promote emotional intelligence. How to be assertive as opposed to angry and hostile are difficult emotional tasks. Parents are also in the forefront of the child’s learning values in the family. More than likely, if parents deal with their own problems by screaming and lashing out or being sharply jeering and critical of weaknesses or mistakes made by a family member, then their children will learn these ways of coping with frustrations. If families provide models for punitive and vengeful actions, they need to realize that the chances are high that their children will learn to gloat over the misfortune of others or else feel indifferent to others’ pain.